Realtors have multiple responsibilities and, therefore, possess a tremendous amount of knowledge. However, for certain aspects of new home construction, such as the breakdown of costs, different types of loans, and both purchase and construction processes, there is usually an opportunity to learn more. Because new home construction is on the rise throughout the country, as a professional real estate agent, it is to your benefit to learn what you can, especially in the areas mentioned. Specific to the breakdown of construction costs, there are four primary areas of importance. First is the soft cost, which are the necessary expenses that all homes no matter what the size or design would need in order to start the construction. Soft costs include the acquired expenses, such as permits; filing; clearing; site preparation; impact fees; utility hookups; and, if applicable, seawall, septic, and well. The second is vertical construction costs, these will vary immensely based on the size and design of the home. Vertical construction costs include costs for labor and materials. A few examples are drywall, doors, windows, concrete slab, cabinets, garage doors, flooring, and insulation, among others. The third is allowances, comprised of things like permits, impact fees, fill and site work, plumbing fixtures, flooring material, wall tile, appliance package, and landscaping. It is important to understand what the allowances that are included in the home construction price. Finally, there are standard versus upgrade features. For new home construction, a base price covers certain things, like appliances, water heater size, door and ceiling height, floor covering, cabinets, countertops, and so on. However, the homebuyer can choose upgrades to these items, which are of a higher caliber and price. Construction loans have a lot more moving parts than your typical home loan that most Realtors may be used to. Because construction loans are more risky for banks they may have higher fees/rates associated especially during the construction period. 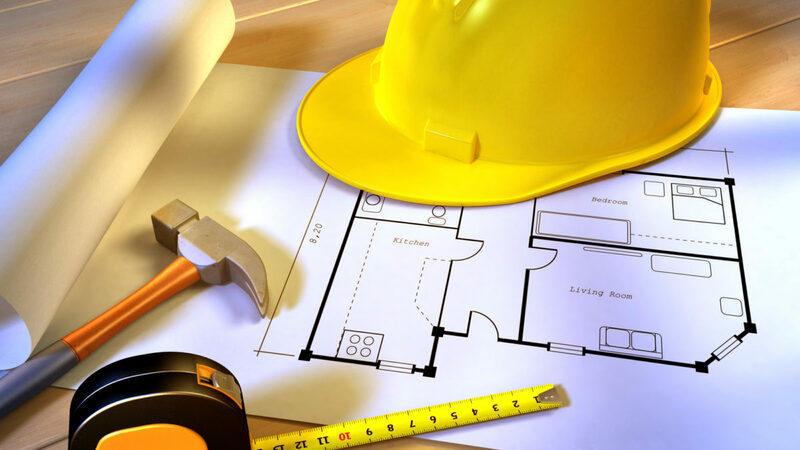 As a Realtor, it will be valuable for you to have a full understanding of the different types of construction loans that are available for new home construction. Below are the three that are available. Construction-Only Loan – This loan closes prior to the start of construction, is secured by the homeowner for financing for the home under contract. The funds are made available for the builder to draw as per the agreed upon draw schedule. A construction only loan will accrue interest from day one, but only on the drawn amount. 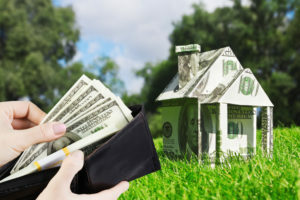 At the completion of the home, the buyer will need to either pay the loan off in full with cash or take out an end loan. Construction to Permanent Loan – This loan also closes prior to the start of construction, and allows draws to be given to the builder as per the agreed upon draw schedule. It will also accrue interest from day one based on the balance of draws. However, with construction done, the loan automatically modifies into a permanent mortgage. End Loan – The homebuyer puts a deposit down on a purchase contract and the builder finances the construction process. Once the home construction is complete, the homeowner secures an end loan to complete the building contract. While not overly complicated, these processes are extremely precise and important. Some of the steps include the homebuyer’s qualification, selection of the lot, and signing off on the Purchase and Construction Agreement, which is created to cover finalization of all the structural upgrades, earnest money submittal, and more. Once the builder signs the contract, a Buyer Selection Appointment is scheduled. During this time, the buyer confirms the amenities of the home, such as color of paint, appliances, and types of cabinets, flooring, and countertops. From there, a final addendum is executed showing all the selections and any additional costs or credits due based on the allowances. Shortly thereafter loan papers are executed, an appraisal is performed, and the construction contract is closed. Drive, Walks, Entry & Lanai Pavers or Conc. With everything done, a pre-luminary walkthrough is scheduled and a builder’s punch list is created, identifying in writing items needing to be added, modified, or fixed. Once items on this list are taken care of, a final inspection is performed, documents are executed, title is conveyed and the keys are handed over to the new owner. Remember that while builders work hard to stay on schedule, construction can be impacted by several factors, such as delayed permits, snags in financing, and weather. A Realtor’s commission is unique for new home construction. Soft costs and upgrades are typically excluded, as they are usually considered “pass through” expenses and builders do not add any margin to them. In addition, payment is either made 100% at the time of closing, 100% when there is a Certificate of Occupancy, or 50%/50%. As a real estate professional, gaining insight into new home construction will enhance not only your knowledge, but also your success. Construction is a big part of the Florida Real Estate Market. It is important to align yourself with the current market trends so that you can offer your clients more.